Should You Cut Your Hair Before ARTAS/FUE Restoration Procedure? If you’re considering a permanent solution to hair loss or thinning hair, you may already know that the most state of the art procedure available is the ARTAS® Follicular Unit Extraction (FUE) system. RHRLI is the only hair treatment center on Long Island that has the ARTAS® system, which uses robotic technology, is minimally invasive, and will leave you with a fuller, healthy head of hair. When you choose to have a hair restoration procedure with RHRLI and ARTAS®, we know you’re going to have a lot of questions. One big question has to do with your current hair style. You may have heard about cutting your hair or shaving before hair transplant surgery and be a little unsure about what to do. RHRLI would like to answer those questions and give you information about preparation for ARTAS/FUE procedures. Because the ARTAS® system is designed to be minimally invasive, you won’t have to undergo general anesthesia. This greatly reduces what you need to do to prepare for the procedure. Unlike other types of transplants like strip surgery, ARTAS® doesn’t leave a linear scar, according to a guide published by ARTAS®. The lack of a linear scar means you don’t need to worry as much about wearing specific hair styles once you’ve had the procedure, but what about before you undergo hair restoration? 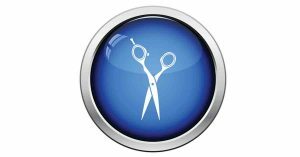 ARTAS® recommends that you cut your hair shorter in stages prior to the procedure rather than cutting it all at once, so the change won’t be as noticeable. One suggestion is to shorten your hair over the length of two to three haircuts. You do need to cut your hair short before you undergo the ARTAS/FUE procedure. That’s because hair that’s trimmed in the donor area can be pinpointed and harvested more accurately by the robotic system. Before you undergo the procedure, you will be provided with instructions about how to trim your hair on the day of the transplant. The donor area is in the back of the head and it usually grows back to a length that will allow it to blend in with close cut hair within a week of the procedure. On the day of the procedure, we’ll try to make you as comfortable as possible and you should also try to make yourself comfortable. You should wear comfortable clothes and you should also bring a loose fitting hat to wear after the procedure is finished. You will be awake during the procedure and a local anesthetic will be administered. You’ll also be given instructions regarding your recovery time. This will include information about any medications you may need to take and instructions for appropriate sleep positions. Patients can usually resume normal activity in a day or two. The ARTAS® System won’t leave you with long recovery times. We use an extremely accurate robotic arm to identify healthy hairs to harvest for your hair transplant. With RHRLI and ARTAS®, you won’t have to worry about pain like you would with other surgical techniques and you won’t have to worry about poor looking results the way you may at treatment centers where other less accurate hand-held FUE devices are used. RHRLI will leave you with the fullest looking head of hair possible. Contact us today.